It looks like that Erdogan is having a cyberwar with it’s own people. Various resources have been published which “claim” that Turkish hacker titled “Ayyıldız Team” has hacked the Israeli Iron Dome. But here comes the fun factor, the hackers left no evidence which supported their claim of the IronDome attack. If I am not mistaken, it was the Chinese hackers which targeted the Israeli IronDome developers. 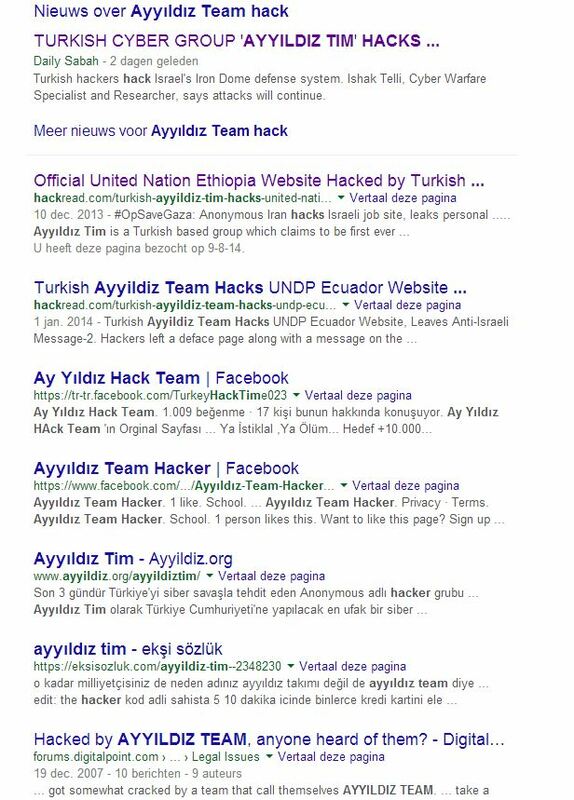 I am posting this news, as it is weird for a defacement hacking team like “Ayyıldız Team” to initiate full attacks on systems which do not run on the webapplication level. The knowledge which is needed to hack targets like the “Israeli Iron Dome” requires indepth information and research. Now here comes the fake information which is being shared to support the “Ayyildiz Team” claim on the IronDome.